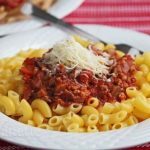 Spring time is probably the busiest time of year for our family, so one pot meals are the perfect solution for a no-fuss dinner. Chicken and rice is a classic one-pot combination in all different cultures (China, Japan, India, Spain, Portugal, West Africa, Latin America, the Caribbean, Cajun) and I consider it pure comfort food. 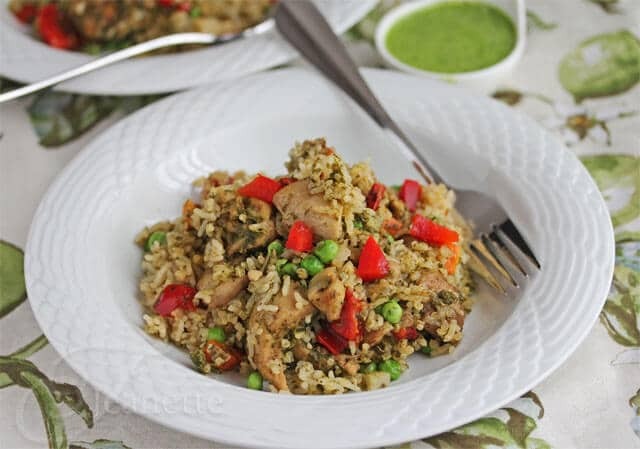 Today’s recipe for Peruvian Green Chicken with Rice and Quinoa (Arroz con Pollo Verde) is just one variation, spiced with lots of fresh cilantro and cumin, and made a bit healthier with the addition of quinoa and some extra vegetables. Both chicken and rice absorb flavors well, which makes them the perfect canvas for different herbs and spices. I chose boneless skinless chicken thighs because they don’t dry out as easily as chicken breast, and a combination of white quinoa and RiceSelect™ Jasmati® Rice, a long grain American grown jasmine rice, similar to aromatic Thai jasmine rice. Although I like the chewy texture of brown rice, my kids like white rice, so we compromised, combining fragrant Jasmati rice and white quinoa (high in fiber and protein). I’ve been intrigued by Peruvian food following a meal at a local Peruvian restaurant. The restaurant is located in a little strip mall across the parking lot from a large electronics store, and next to an Indian grocery store, not in a very central location, and easily missed by the ordinary person. As a foodie, I’m always on the lookout for interesting cuisines, especially inexpensive good eats. This restaurant won’t win any awards for decor, but the prices were very affordable and the menu had lots to choose from, including ceviches, fresh snapper (my friend ordered this and it came with head and tail), and Saltado de Mariscos (Sauteed shrimp, squid, scungilli, mussels, octopus, crab, onions and tomatoes). As soon as we were seated, a bowl of Peruvian green chili sauce and a basket of bread were placed on our table – the sauce is a “secret recipe.” Of course when anyone tells me it’s a “secret recipe,” I need to find out what that is. 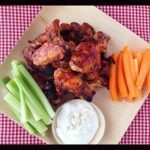 I’ve been looking for this “secret” green sauce recipe for weeks and have come across a few variations. It’s basically a cilantro sauce spiced with fresh jalapeno peppers, made creamy with a bit of mayonnaise. Some recipes I came across for this green chili sauce added lettuce leaves to it. The waitress at the restaurant would only tell us that it was actually quite healthy. Hmm…perhaps because it’s made with vegetables? I came across today’s recipe for Peruvian Green Chicken with Rice (Arroz con Pollo Verde) and the elusive Green Chili Sauce (Aji Verde) in a cookbook at our local library, Peruvian Cookbook A Beginner’s Guide. Although this dish is traditionally made with white rice, I decided to bump up the nutrition in this dish by using half white quinoa (quinoa actually originated in the Andean region of Peru, Ecuador, Bolivia and Colombia 3000 to 4000 years ago), and half Jasmati rice (my kids are not huge fans of quinoa, so I “hid” the quinoa in this dish). I also added some chopped cabbage and increased the amount of vegetables in the recipe. The original recipe said to add beer after the dish is cooked, which seemed odd to me, so I used some beer as cooking liquid for the rice and quinoa. As I was in a rush for dinner the night I made this, I cooked the vegetables and chicken briefly on the stove top before throwing everything into my rice cooker…I had to run to the train station to pick up one of the boys who had just returned from a college trip. The rice cooker is a great appliance to have if you want a meal that can cook without any watching over. We walked in the door and I whizzed up the Green Chili Sauce – dinner was ready in just a few minutes. The Green Chili Sauce (Aji Verde) is well worth making – in my view, it makes this dish – the bright flavors and spice bring this simple chicken and rice dish to a different level. I’ll be ordering my own copy of this beginner’s Peruvian cookbook – it’s for a good cause (in support of eradicating poverty in Peru) and a great introduction to Peruvian cuisine. What’s your favorite way to spice up family meals? Share your answer in the comments below and you could win a $100 Visa gift card. Disclosure: This is a sponsored post by RiceSelect and BlogHer. Looks absolutely scrumptious! Please pass me the bowl! Thanks Brian – the green sauce is the best! This looks wonderful! And just in time for this week’s menu plan. Cumin is one of my favorite spices that I use all sorts of ways. Smoked paprika is becoming another favorite spice for my meals too. Thanks! Thanks Ann – cumin and smoked paprika go together so well. I do have a question in reading back over recipe, is there cilantro in the chicken as well or just the sauce? The recipe lists it both places but I don’t see instructions on what to do with it after pureeing with a little bit of water. Thanks! Hi Ann, the cilantro is used in both the chicken and the sauce. One bunch of cilantro is used for the sauce, and another bunch is used for the chicken. Hi Kim, thanks for the catch! 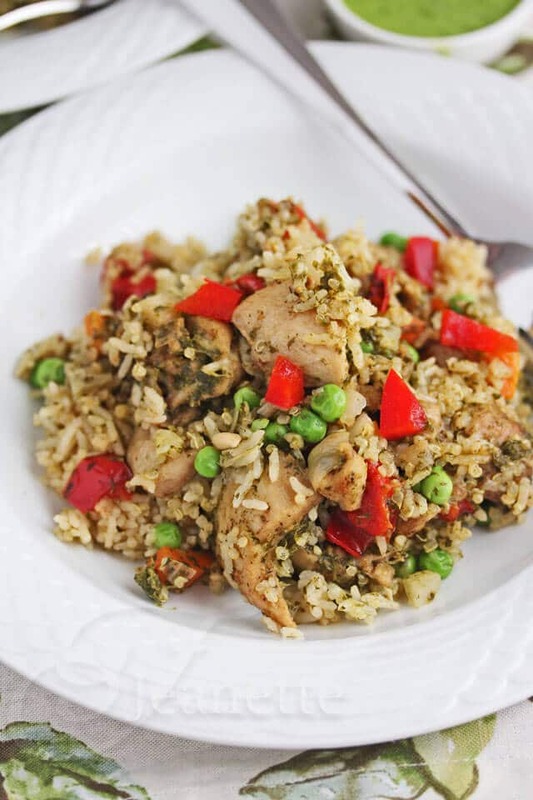 The cilantro puree goes in when the rice, chicken and vegetables are all mixed together just before cooking it all together. I’ve fixed the recipe text. Thank you! Sounds so delicious and looks wonderful Jeanette. Looks delicious! I love that you included a recipe for the green chili sauce, too. I can see myself slathered that on everything this summer… mostly grilled meats! I like to spice up meals by having something hot and spicy once and a while like chili and rice. How would you change the cooking time if I wanted to use brown rice instead of white rice? 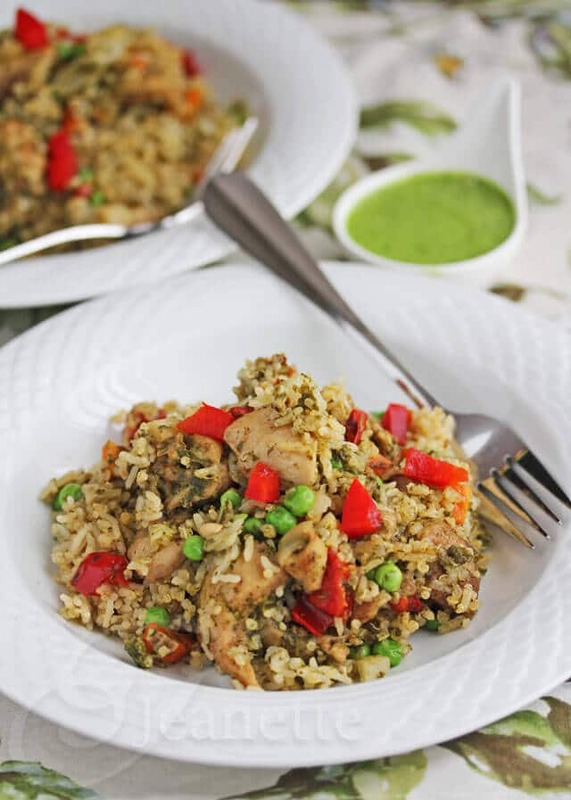 Brown rice can sometimes take twice as long to cook as white rice, so you might try cooking the brown rice halfway before adding all the rest of the ingredients; otherwise the chicken and quinoa will be overcooked. So excited to see this recipe! When we lived in Falls Church, VA, there was a “fast food” Peruvian chicken restaurant that we would go to from time to time, and I think this is the green sauce they served. Love this sauce! Can’t wait to try this recipe-everything about ti looks delicious! I like to use Cumin and Saffron. I love your recipe! I like to spice up family meals by creating different veggie dishes by trying veggies and spices that are new to my kids. I would like to use Jasmati rice in stuffed peppers served over tomato sauce. I like to use all kinds of peppers and fresh herbs to spice up our food. I have two boys ages 14 & 8 and once a week either boys gets to choose a recipe from any region of the world. They uses the Internet, cook books or magazine on hand then we shop for the ingredients and they participate in the preparation of the dish. They learn about different cuisine and ways to spice up our everyday meal. My favorite way to spice up meals is by adding lots of spices. I also like to make meals that are mixed in with different items like rice, chicken & veggies, mixed together. This looks delicious–and so perfect for springtime! Last summer I had an over-abundance of poblano peppers from my garden, so I roasted and froze them. We love stirring them into soups and sauces to add a little kick! I use seasonings to spice up my meals. I would use this to spice up my chicken and rice stirfry. MMMM, looks good! I spice things up by cooking with jalepeno peppers, and using sriacha sauce. yum. Rice is a great side dish for spicy foods, keeping the heat a little lower! It’s great for indian and southern fare. Tonight I had rice with jambalaya. “Of course when anyone tells me it’s a “secret recipe,” I need to find out what that is.” Yes me too! Sounds like you figured out the secret! Looks amazing, Jeanette! A great way to use the rice. we like to use fresh herbs to spice up dishes. We often have seasoned fries. 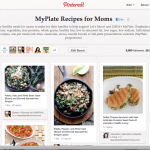 I am Peruvian, so it makes me happy to see recipes that are inspired by Peruvian cuisine and flavors! If you like Aji Verde sauce, I would recommend getting some Aji Amarillo peppers. They are very hard to find fresh, but most Latin grocery stores will carry them jarred or canned whole, or blended to a paste. The flavor is uniquely spicy and wonderful! My grandmother would often have the paste on the table as a condiment. Besides use in traditional Peruvian recipes, I often use the paste to spice up my everyday cooking. I recently added some in to my deviled egg mixture and they came out delicious. 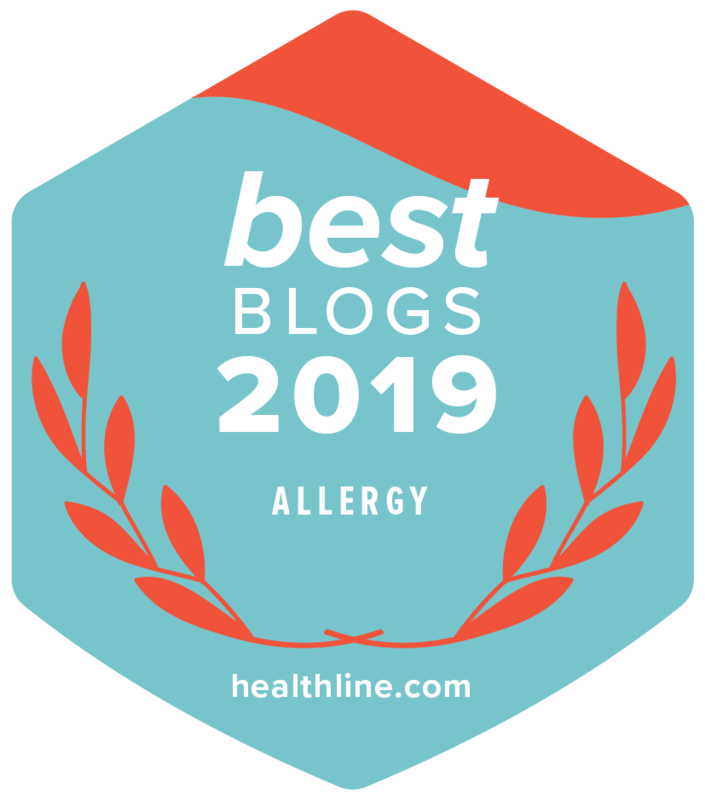 I agree, there is something so comforting and versatile about chicken and rice – lately, I’ve been varying the rice with millet, buckwheat and quinoa which sop up flavors equally well and create a nice diversity of nutrients. That secret ‘green sauce’ has my toes curling ;-). We find the combination of coconut, lime and cilantro hard to beat! I spice up my meals with garlic. I also use lots of fresh herbs. I really don’t like spicy foods, though I’m trying! I make chili that calls for cayenne, cumin, cinnamon, and chili powder. Each time I make it, I increase the cayenne and chili powders, in order to get a little more heat. My boyfriend likes spicy foods, so I am trying to train myself to like a little more heat. Now, garlic, onions, herbs…I’m all for!!! I like to spice up family meals with herb and citrus! It would be great to add a bit of butter and then some lime for a shrimp dinner. Sometimes, I just love rice with butter. I use a lot of spices and salsa in my recipes – we like it hot and tasty! Your recipe makes me thing oh yum! I would use RiceSelect in my chicken and vegetable stir fry. This looks amazing! I’d use it to make sweet n sour chicken w/ rice. I like to use some fresh ground pepper to spice up meals. I have been playing with curries (yellow and green mostly). I love cilantro too, and add it when I can. I have one question: how big is your rice cooker? We have a smaller Zojirushi (my hubbie’s dream cooker) and wonder if this will fit. Hi Elena – my rice cooker can cook up to 5 cups of rice. You could probably also bake this in the oven in a covered casserole or pot. This looks delicious! I spice up my meals with red pepper flakes or cumin. Yummy! I love to use cumin, chili powder and black pepper. I spice up our meals by making Takikomi Gohan (flavored rice) , my family loves it. By making new dishes — that’s the surest way to spice up a dinner! I like trying new spices out, too, like cardamom. This sauce sounds so delicious! 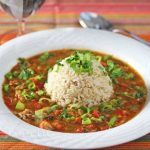 My favorite way to spice up my meals is with a changing variety of ethnic meals- i made a persian lentil rice pilaf that was awesome, and enjoy indian, greek, spanish and more! id make taco rice wraps – this recipe sounds delicious though! I like spicing up meals with garlic, onion or some sort of pepper. I love tasting foods from different cultures, but I’ve never tried anything Peruvian. This looks delicious and is perfect for the beginning of Spring. Will definitely try this recipe out. Many thanks for sharing your recipe. I spice up my meals by using hot spices and a can of Rotel. I add Mrs Dash to my meals to spice them up. 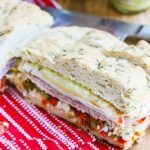 This recipe looks great, will be making it this week! I use a lot of different spices, lately I’ve been using cumin, smoked paprika, turmeric and always garlic. my kids won’t eat but i like it! 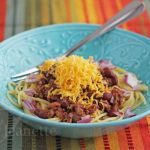 I like to spice up family meals with variety – each week, I try at least one new recipe for a main dish and/or side dish and one for a dessert. My favorite spice would have to be cumin! I spice up family meals by switching up the spices that I use, and trying new recipes! I’ve never used my rice cooker for anything but rice before. It only has one setting, “cook”, other than that it’s “keep warm”, which the button automatically pops to after done. Does your rice cooker have multiple settings or do you think it would work with my simple cooker? at our home we love to add hot sauce and spicy ingredients to our meals! my kids love it! I used cajun seasoning on the swai yesterday, who knew blackening would still be tolerated! SCRATCH THAT! That’s what I tweeted, but here is the LINK. I spice up my meals with onions, peppers, garlic and fresh herbs. I like to spice things up by trying new recipes. There’s an orange chicken crock pot recipe I really want to try. I would love to try it with RiceSelect! I LIKE TO BRING IN SOME TYPE OF FLAVOR VARIETY WITH THE PRODUCTS I USE TO MAKE THE DINNER. THIS RICE SOUNDS AWESOME! that looks really good! I’m pretty sure my whole family would love it! We love good ol’ red pepper flakes! My children grew up with me trying all kinds of ethnic recipes. Now they are happy to cook their own ethic recipes. I’d like to try making my own sushi. I would love to make a delicious stir-fry. Rice is versatile and can be used in main dishes, side dishes, and desserts–and I use it in all of them. I use red pepper flakes usually, not too much 🙂 but I’ve been cooking a lot with sour cream lately and getting some very different tastes out of old favorite recipes! I use both vinegar and lemon/lime to add flavor to a lot of dishes, especially those with greens. I like to use a lot of cumin & garlic in many dishes to spice them up. I use herbs and spices. My fav way to spice up family meals is to make it ethnic: Italian, Indian, Asian, Greek, etc. Never a bored palate! Rice works its way into those meals more times than not! I like making spanish rice. I love using fresh herbs to spice up family meals! Also new and different pairings! I use crushed red pepper to spice things up a little bit. I like to spice up family meals with lots of colorful vegetables! This recipe sounds delicious. Thanks. I like to spice up my meals by using different herbs and spices. We like everything spicy here in Louisiana. I like to try different vegetables or fruits in recipes. I like to add chili powder to just about everything. It adds a depth to the dish. I love Spanish rice, over just plain white rice, can use this and some seasonings! I spice up meals with herbs like oregano and rosemary. I like to spice up our meals using veggies and different seasonings like garlic, cayenne and curry powder. Thank you Eleeta – hope you enjoy! 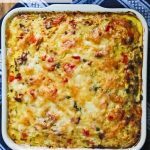 Thank you for sharing; great recipe. As a little anecdote: did you know that eating guinea pigs is a tradition in Peru! Glad you like this recipe – I had no idea about the guinea pigs. It’s good your version but the green salsa is not secret it’s a little hard to get the ingredients. And the arroz con pollo with cabbage hmmm good invention . I am Peruvian and will try your version. Lisa – would you be willing to share your green salsa recipe? I’d love to see it.